WASHINGTON — A woman is in custody and being questioned in the attempted kidnapping of a 6-year-old girl in front of the child’s Georgetown home. D.C. Police Chief Peter Newsham said the woman is under arrest on a separate charge and is expected to be charged in connection with the incident, which happened late Tuesday afternoon. The girl had been dropped off in front of her home in the 2800 block of Dumbarton Street NW by a nanny in an after-school carpool. The girl’s mother was inside the home at the time. According to police, a woman approached the girl from behind and grabbed her. When the girl resisted, the woman told the girl she had cotton candy for her and should come to her home to get it. The nanny in the car screamed, the girl broke free, and the suspect ran down Dumbarton Street. “The caretaker was able to intervene, and prevented the child from being injured, and prevented the child from being taken,” said Newsham. Police released a photo of the woman: a still image from surveillance video captured at a nearby store. 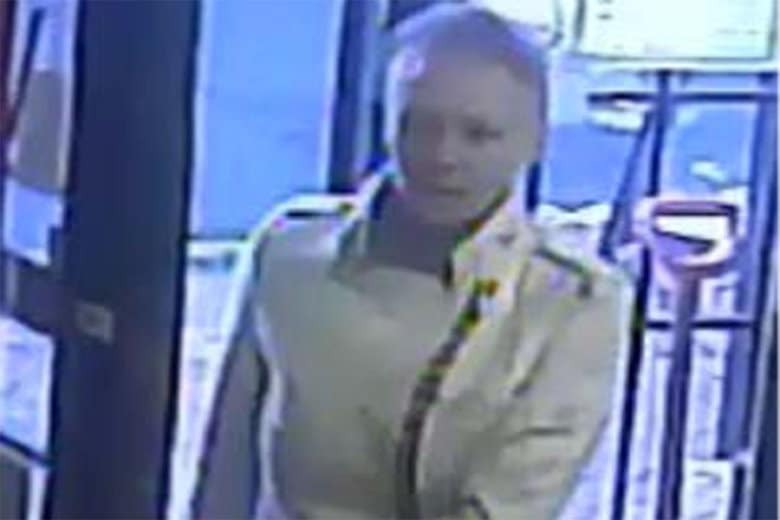 The suspect is described as white, between 30 and 40 years old, and about 5 feet 7 inches tall. She has blonde hair, in a mohawk-style haircut, and was wearing a white coat. As of Thursday morning, police had not announced the woman was under arrest in connection with the attempted kidnapping, nor described the separate crime she was arrested for.